There's nothing like adventuring with a Shadow Gorilla Pet at your side while wearing a matching Shadow Gorilla armour set. And as both are only available until 28th February, there's no time to waste! Head on over to Solomon's Store and pick up the Shadow Gorilla. 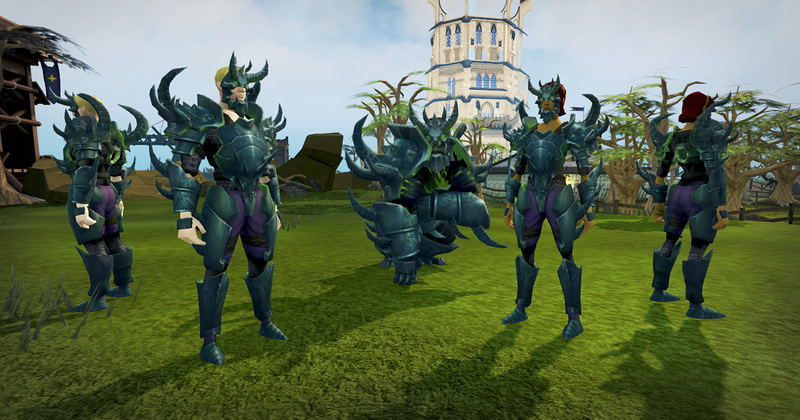 The Shadow Gorilla Armour Set is exclusive to purchasers of a 2400 (or greater) RuneCoin package, so that's the perfect way to get the currency you need. Going ape for pets? Why not pick up the non-shadowy Jungle Gorilla too, while you're there? 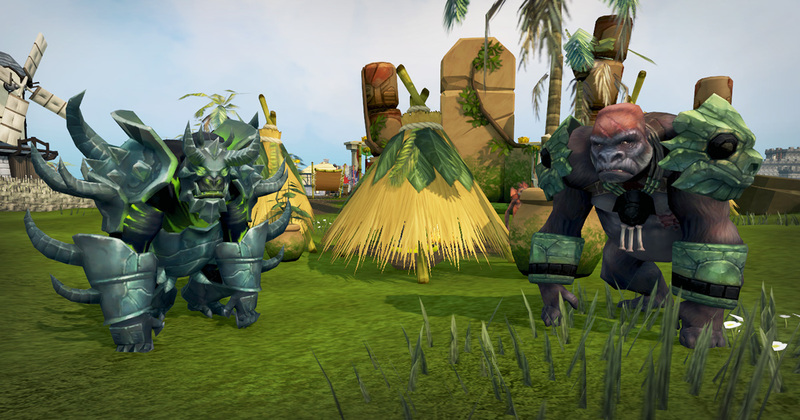 Remember, the Shadow Gorilla and armour set are available for a limited time only, so get your hands on them before they dissipate back into the gloom. Raphella points at terrible Gorilla Pets and laughs. Pet at your side ... Never uses treasure hunter keys. Never buys runepass, runecoins or bonds. Never pays extra for 'Premier' status. Never will. As old school as a player can be. it costs £23 to buy it, kinda pricey don't you think?